When I first started going upstate about a decade ago, I distinctly remember being challenged to find quaint lodging that didn’t involve doilies and victorian canopy beds. Now, it seems like every time I turn around, another gorgeous boutique hotel or bed and breakfast is popping up in my Instagram feed. Fall and winter have always been my favorite time to escape the sludgy city and snuggle upstate, and with Valentine’s Day and winter’s worst months still ahead, I’m plotting my next escapes. 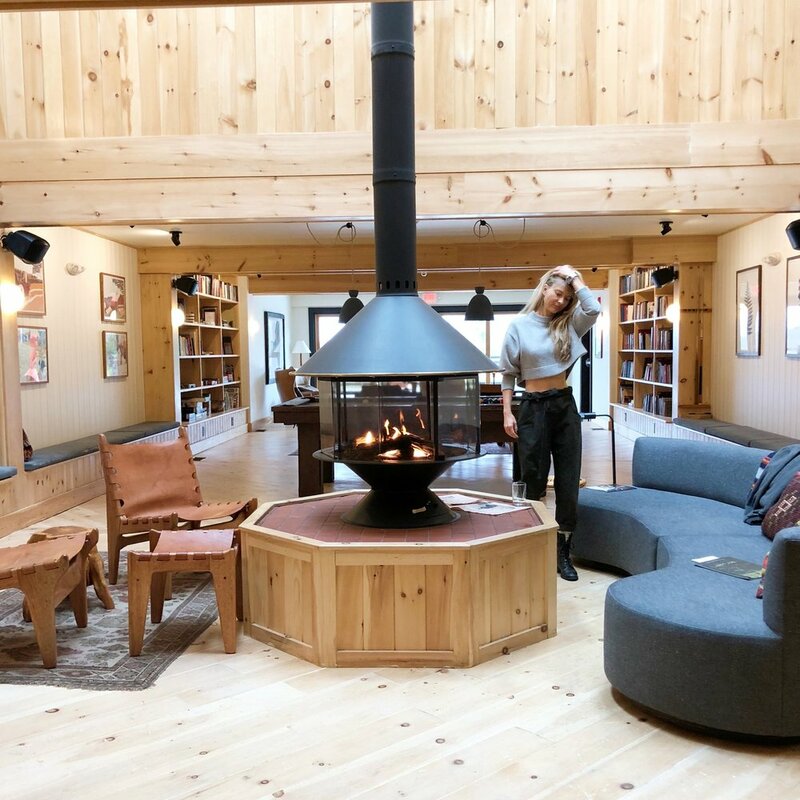 Here’s the most extensive list of the chicest, most hygge and hip upstate getaways that you will find. Whether you’re looking for something polished and chic, or rustic and simple - I’ve got you covered. BONUS POINTS FOR Rentable Greenhouse that’s perfect for weddings and events, yoga workshops and communal dining, pet friendly. BONUS POINTS FOR Including both breakfast AND dinner in the rates. What?! Being a Foster Supply & Co hotel. BONUS POINTS FOR Including breakfast with hyper seasonal, local ingredients. Wood burning fireplaces. Being a Foster Supply & Co hotel. BONUS POINTS FOR firepits and BBQs all over the property, and a huge barn available to rent for events. BONUS POINTS FOR Being near Hunter Mountain for skiing, and Phoenicia for brunching. Plus kitchenettes in some rooms for DIY breakfast in bed-ing. BONUS POINTS FOR Being near Hunter ski resorts, having a great communal area to play board games and meet new friends eco-friendly housemade toxin-free bath products and locally sourced food. BONUS POINTS FOR Serving things like rose-quartz infused cocktails and mostly vegan meals from an Eleven-Madison-Park alum. BONUS POINTS FOR The spa! Wood burning fire waiting room and all. Being a Foster Supply & Co hotel. BONUS POINTS FOR Claw foot tubs and being dog friendly. Being a Foster Supply & Co hotel. BONUS POINTS FOR Surviving 100 years since being built, riverfront location on the Hudson and continental breakfast included. BONUS POINTS FOR Being surrounded by stunning vistas and trees, fireside hot-toddy hours in January, in-room fireplaces. Cottages available to rent with larger groups. Your 3 City Guide to Independence Day-Tripping! 4th of July falls on a Wednesday this year. Awkward. Here are a few fun ideas to celebrate that don’t take more than a regular 2 day weekend, or even just one day off to enjoy!